With RadChat control you could easily utilize the Model-View-ViewModel (MVVM) pattern. This could be achieved through the ItemsSource property that can be bound/set to a collection of any data items that should be then converted into chat items. 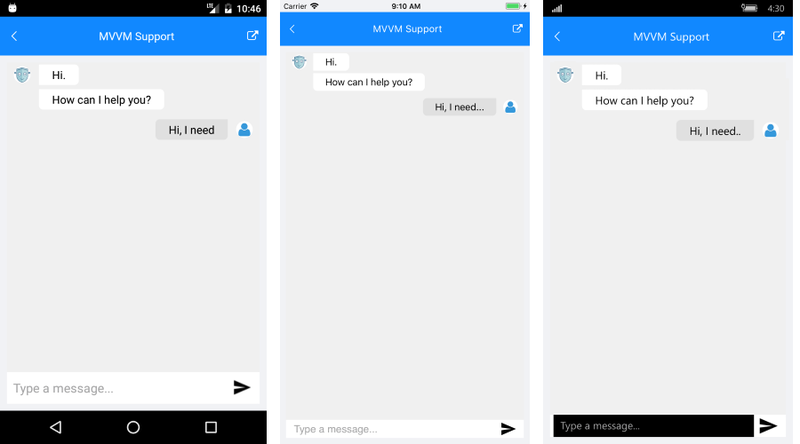 This help article will demonstrate how to use RadChat in MVVM scenarios. Create a ViewModel containing a collection of your SimpleChatItem items. You could also bind the Chat's Author property that represents the end user typing in the input field.